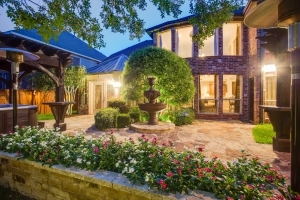 Lantana is a census-designated place (CDP) and master-planned community originally developed by Republic Property Group, 8 miles (13 km) south of Denton in unincorporated Denton County, Texas, United States. The population of the CDP at the 2010 census was 6,874. Lantana had 3,274 occupied homes as of December 31, 2015, with an estimated population of 10,641. Lantana shares the 76226 ZIP code of Argyle. Approximately one quarter of the populace have an annual household income of greater than $150,000, with 34% having incomes from $75,000-$150,000. Almost half of the Lantana population has a Bachelor's Degree or higher. 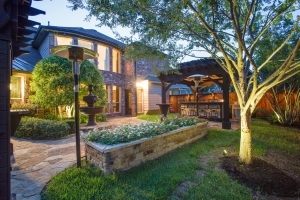 In 2004, 2006, 2011 and 2012, Lantana won the People's Choice Award for Community of the Year at the Dallas Homebuilders Association McSAM Awards. Lantana hosts regular community events, such as outdoor music presentations in the parks, chili cook offs, festivals, picnics, and other similar functions for its residents. Four of Denton ISD's schools are located within the community: Tom Harpool Middle School and Annie Blanton Elementary School, which opened in August 2008, Eugenia Porter Rayzor Elementary, which was the first school to be built and opened in August 2002, and Dorothy Adkins Elementary School, which opened in August 2014. Blanton and EP Rayzor elementary schools are rated "Exemplary" and the middle school is rated "Recognized." Lantana is served by John H. Guyer High School, located in southern Denton, TX, about 3 miles (4.8 km) north of the northern-most neighborhood (Madison).